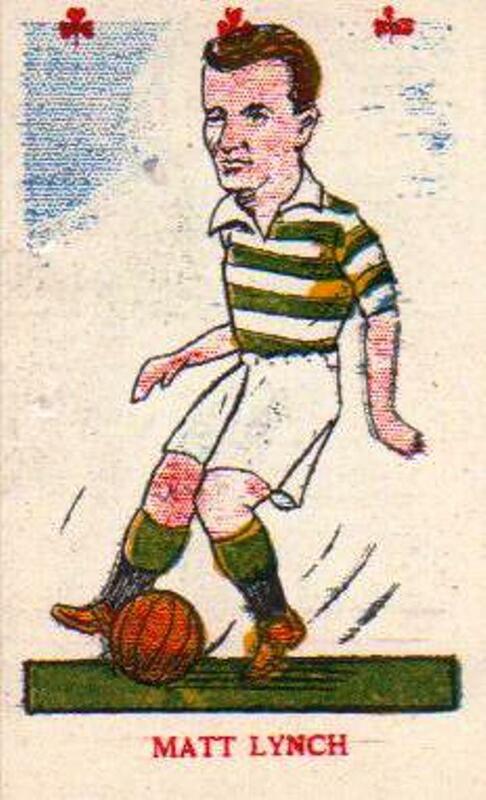 This week we focus on the greatest Celt of all time – James Connelly Johnstone esquire to give him his full title. 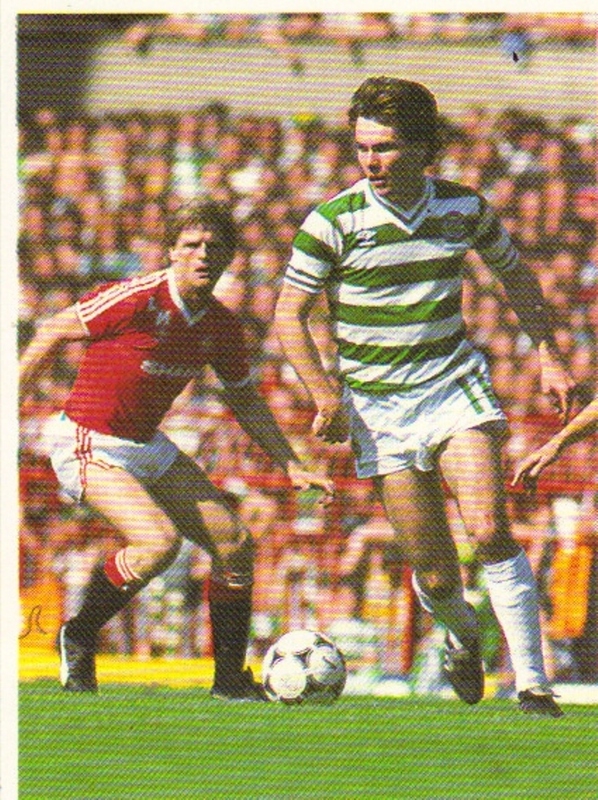 Any one who ever saw the wee man in action will no doubt have their own favourite memories. 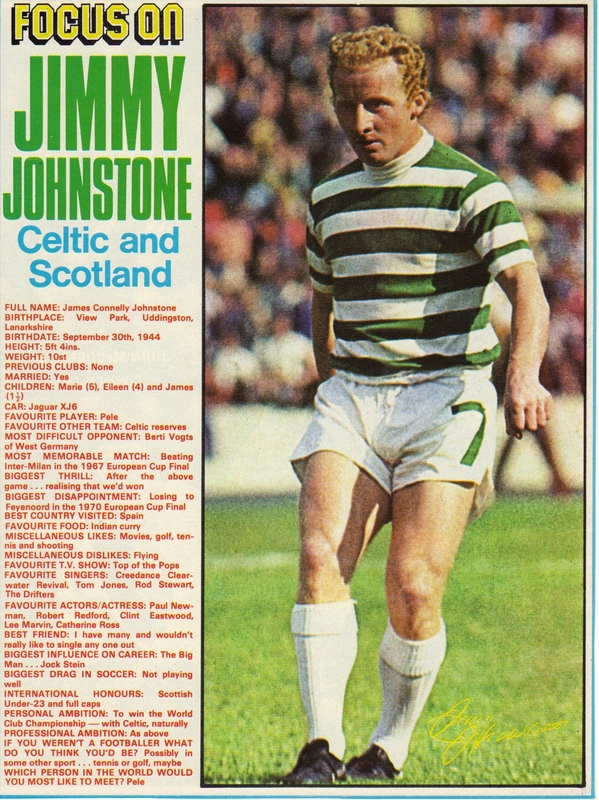 My father’s generation can recall those misty European nights of the 1960’s under the floodlights when Jimmy would control a ball dropping from the sky with one touch and drop his shoulder before sprinting passed the flummoxed defender. 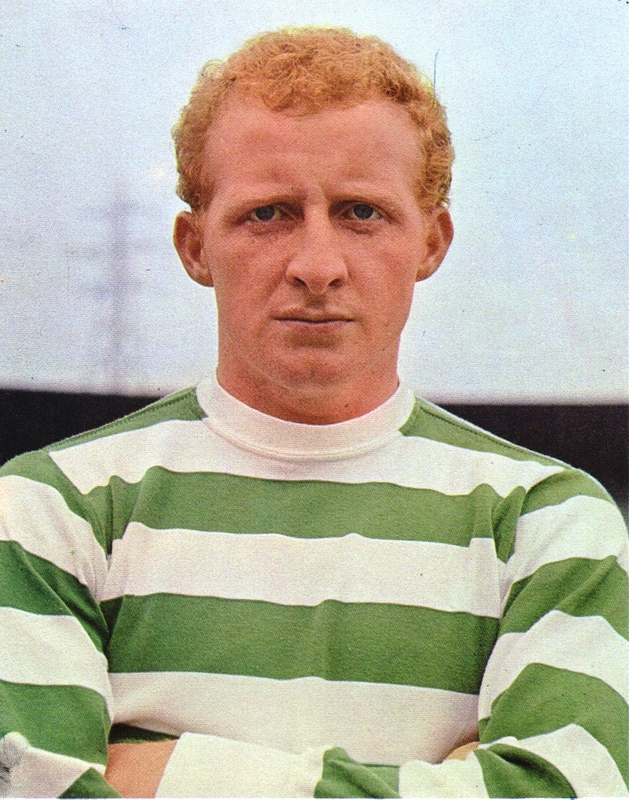 There wasn’t a team or a full back in the world who could cope with Jimmy Johnstone in full flight. times, his 5’ 4” frame out jumping big static defenders in the process of doing so. 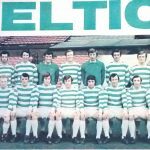 In September 1973 I can recall standing at the bottom of Helen Street in Govan as Celtic fans began to wander back from Ibrox. 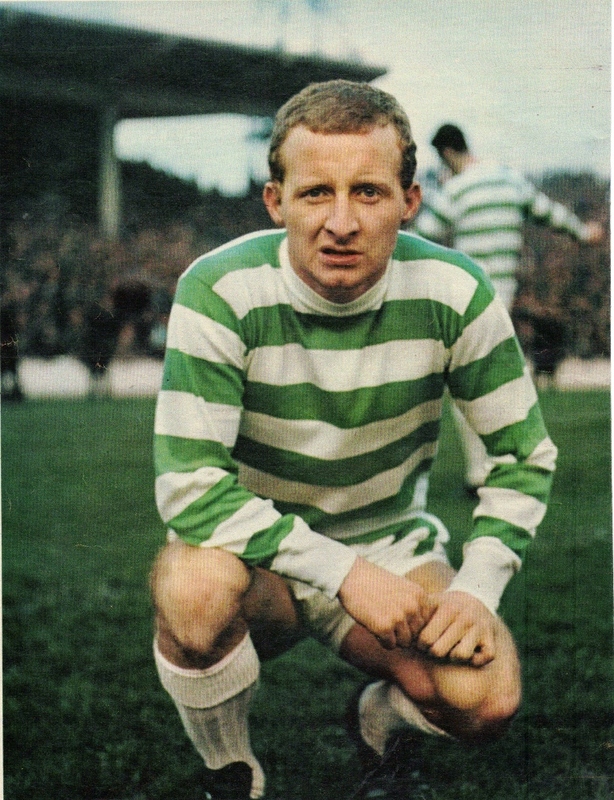 Jimmy Johnstone was the most photogenic Scottish player of that era. The red hair, socks inevitably around his ankles and the impish grin, he was instantly recognisable. On holiday in Yugoslavia in 1974 my Father and I were asked by a Yugoslav man where we came from and when we told him we were Scots, his eyes lit up and he muttered ‘Ah, John-stone’. 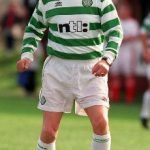 Willie Haughey once stated that Jimmy never fully appreciated the depth of affection he was held in by the Celtic supporters. 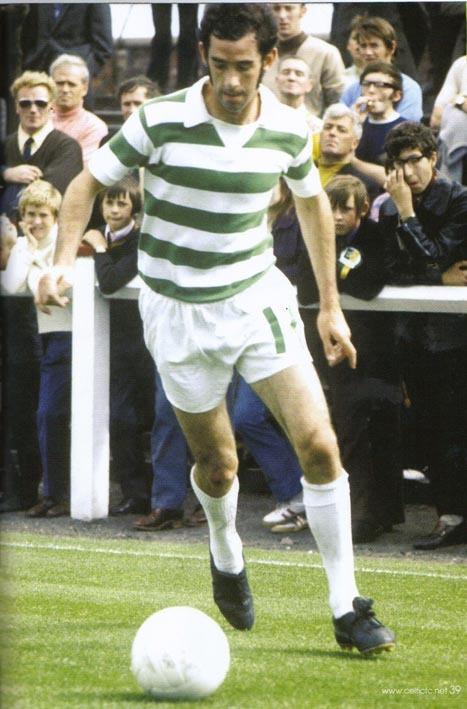 However, towards the end of his life he was left in no doubt about the regard that the fans had for him when he was overwhelmingly voted ‘the greatest ever Celt’. It caused many of us great pain to see him suffer greatly through illness for the last few years of his life but, typically, he faced it with great courage and dignity. 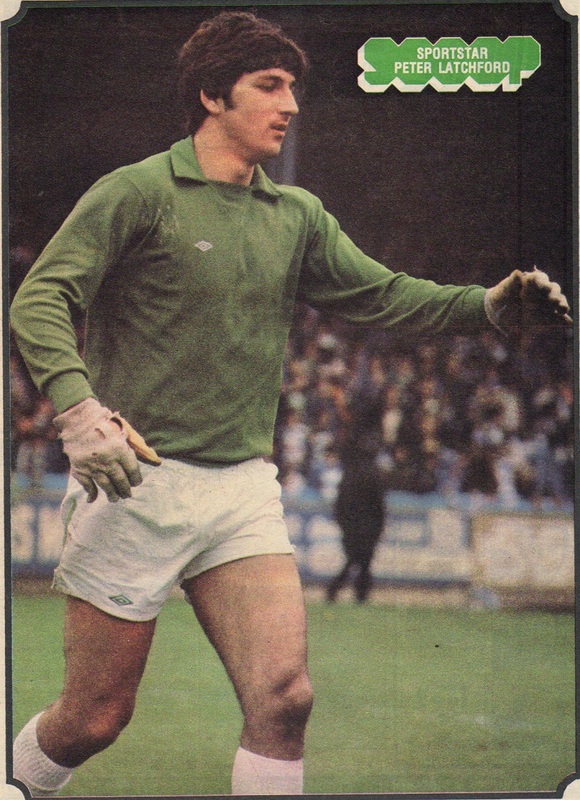 Our first image is a focus on him from Shoot magazine in 1972. Look at the answer to the ‘favourite other team’ question which became the standard reply for Celtic players in the coming years. 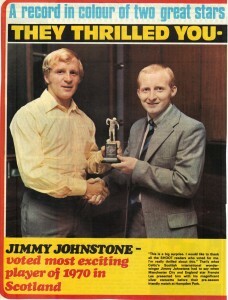 Jinky also likes curries, Rod the Mod and shooting (?!!). The second image also comes from Shoot, this time in 1970. 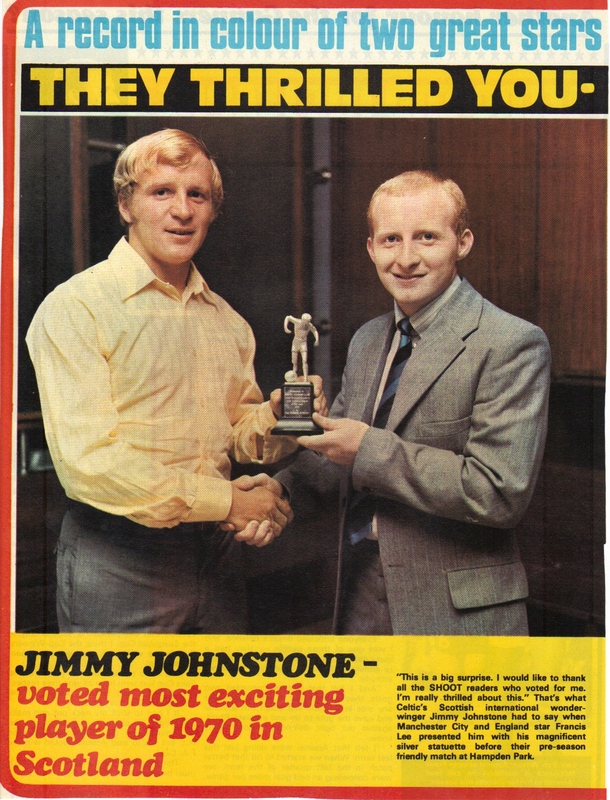 As the text says, the wee man has been voted as their Scottish player of the year and the award is presented by Manchester City and England player Francis Lee and he looks genuinely pleased to receive it. 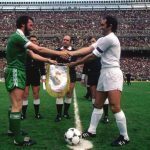 The friendly game mentioned was a 0-0 draw in front of 80,000 but it has to be remembered that Manchester City were the current European Cup Winners Cup holders and Celtic had recently lost the big final in Milan to Feyenoord. Out of interest the English award was won by Peter Bonetti of Chelsea and was presented by Bobby Moore. The third image you will see is a collector’s item large card issued by Typhoo tea in 1973. Schoolboys across Britain urged their Mammies to drink copious amounts of tea in order to get tokens to exchange fo such a card as seen. If you were really lucky you’d get a Jinky or even a Billy Bremner, Emlyn Hughes or Colin Bell. 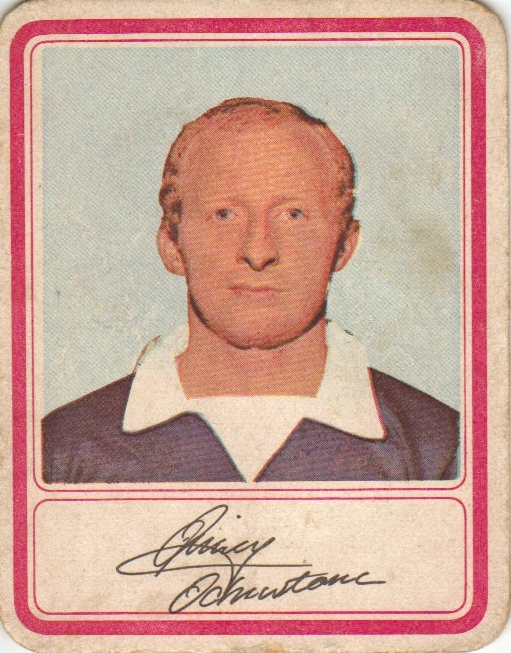 If you were unlucky you could end up with a John Greig although this card could ultimately prove useful if you put it on the mantelpiece to frighten the weans away from the dangers of the fireplace. pockets. 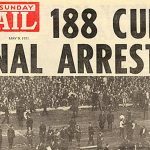 It is worth pointing out that ‘two quid’ was quite a sum of money in 1976 and would explain why my Father had me in the Rangers end that fine evening. Jimmy Johnstone will live long in the hearts of Celtic fans everywhere. Rest in peace wee man.